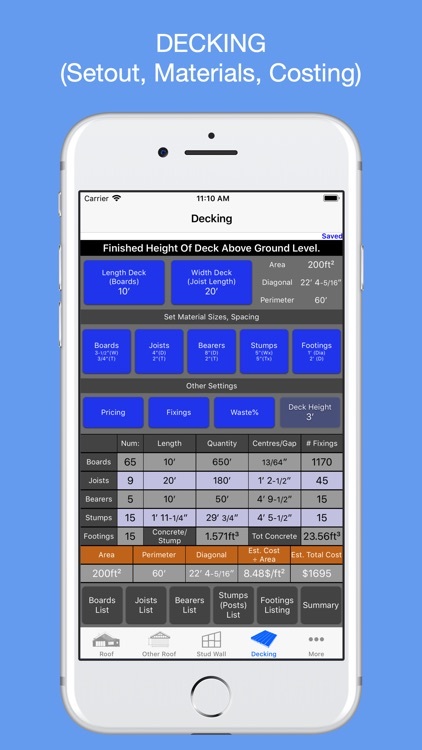 FRAMING & ROOFING, DECKING & FLOORING CARPENTRY CALCULATOR. ROOF, DECKING, STUD WALLS, STAIRS, CONCRETE CONSTRUCTION AND MORE! 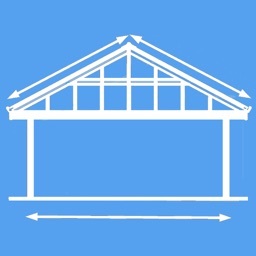 Designed for roof & framing master carpenters, contractors and builders. 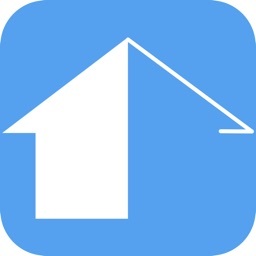 Roof Guide (previously Roofers Guide) is not a 'How To App’ - you know how! 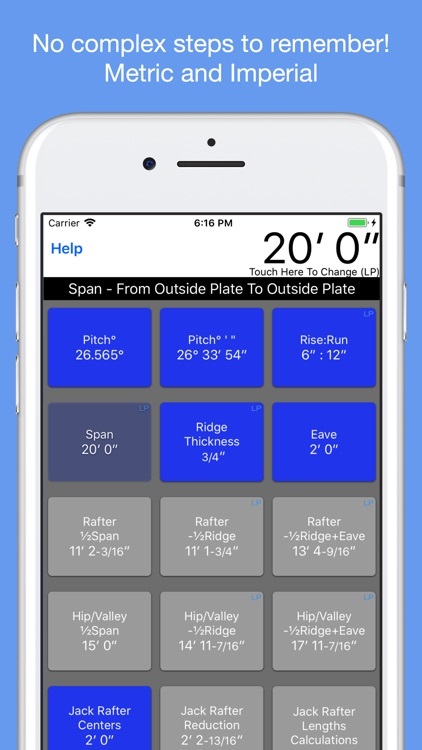 Accurate, reliable and easy to use, it is an indispensable tool for the roof & framing construction pro, and now with a decking & flooring estimator and calculator. 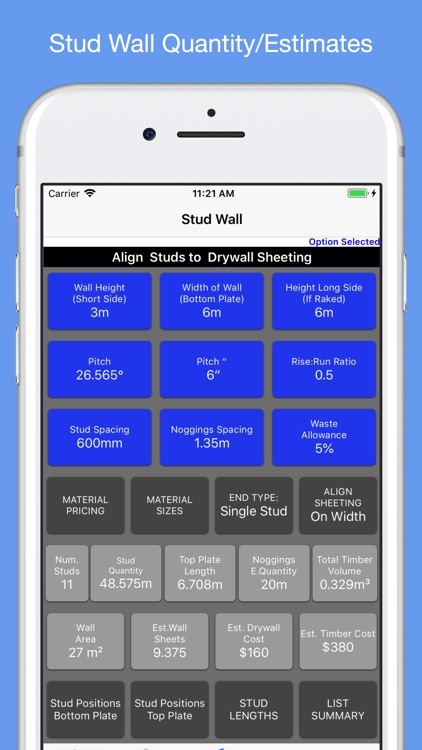 Developed and used by carpenters, roofers, contractors, builders and construction pro 's around the world. No need to remember complex data entry steps, info is at most 2 touches away. 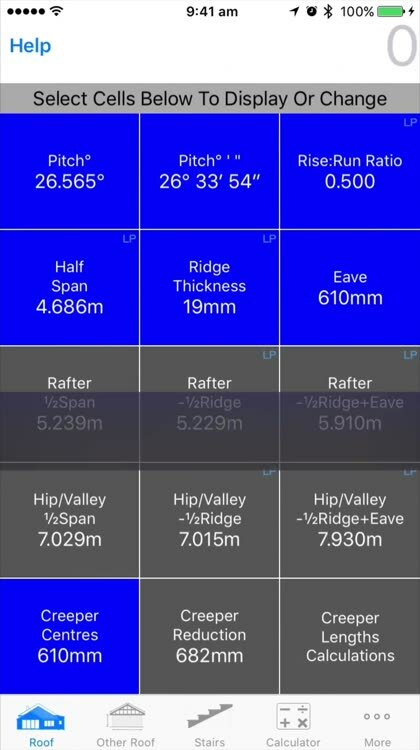 Metric or feet, inches and fractions of an inch (or decimal) - an essential tool for all roofers / chippy's. 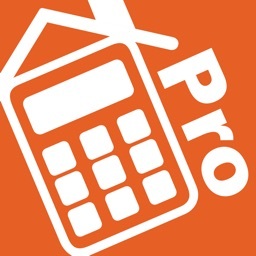 Never forget your span or rafter tables, red roofing book and other standalone construction calculators again! Set defaults for most commonly used values. 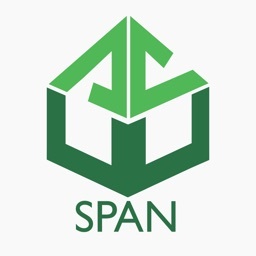 Alternate functions such as span or half span are available by Long Pressing (press and hold for a second) the button - any button with an LP in the corner. ◆ Insets at start and end. 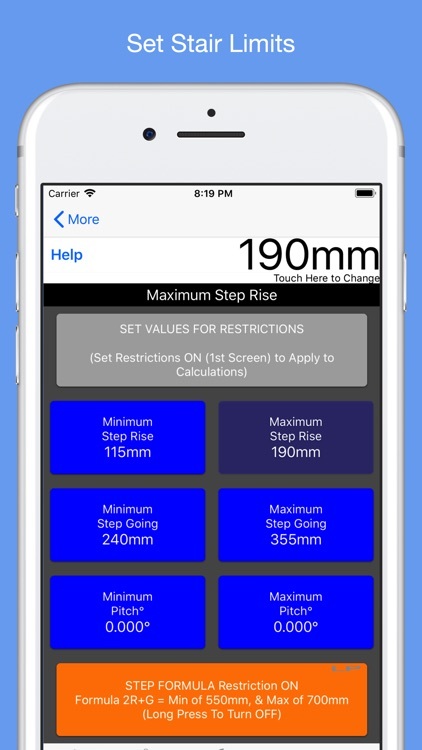 Permits Multiple restrictions on risers, treads, inclines and also allows application of 2R+G (2R+TD in US) in jurisdictions required - to meet standards. 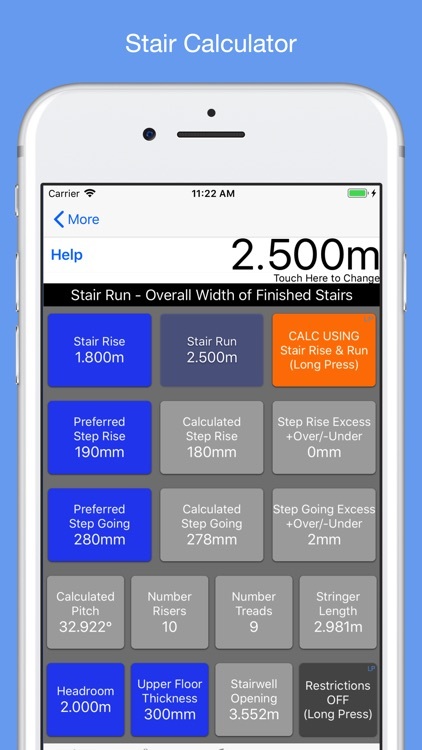 Other than StairCalc (which is our Stair only app) we do not know of an app that does this simultaneously. 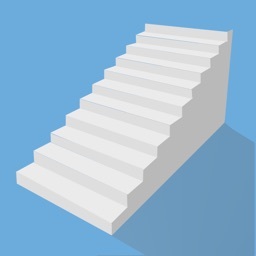 Also calculations allow for situations where the overall stair rise is fixed or the stair run is fixed or both rise and run are fixed allowing maximum flexibility. 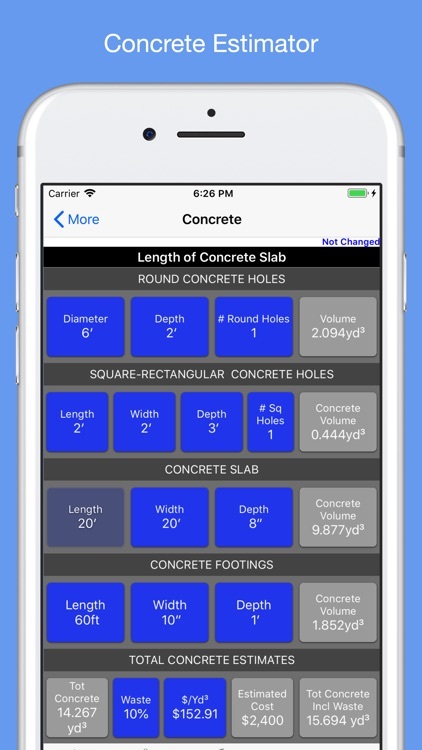 ◆ Calculate quantities for Slabs, Footings,round and rectangular/square holes. ◆ Estimates total volume and cost allowing for waste. 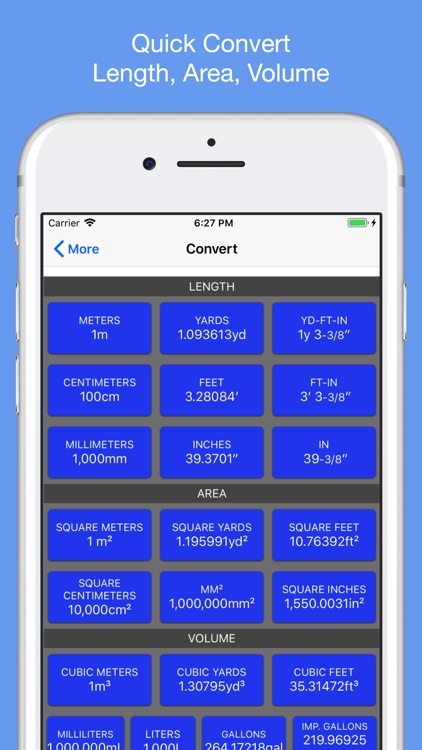 ◆ Convert Lengths, Area, Volume: Metric and US/Imperial. ◆ Work in Decimal units or Yds/Ft/In/Fraction format to Metric, decimal US. 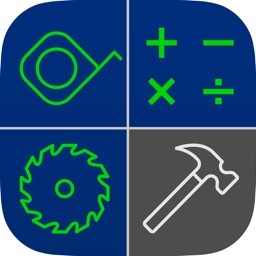 ◆Calculate (add, subtract etc) directly in feet / inches / fractions or decimals. 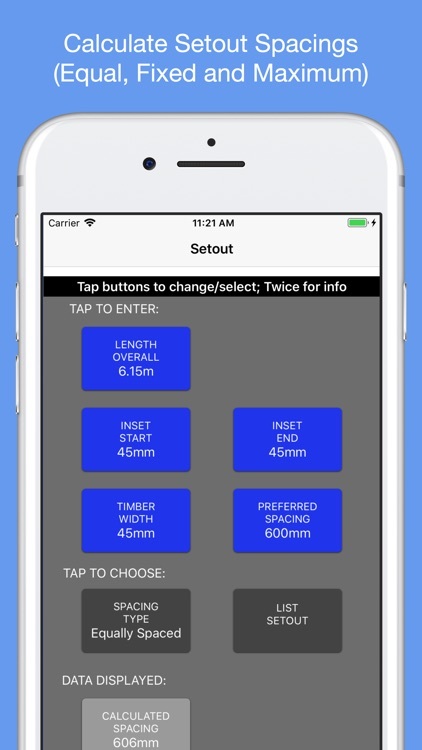 Extensive help - Single touch brings up brief help at top of screen ,tap twice on most buttons for more info. 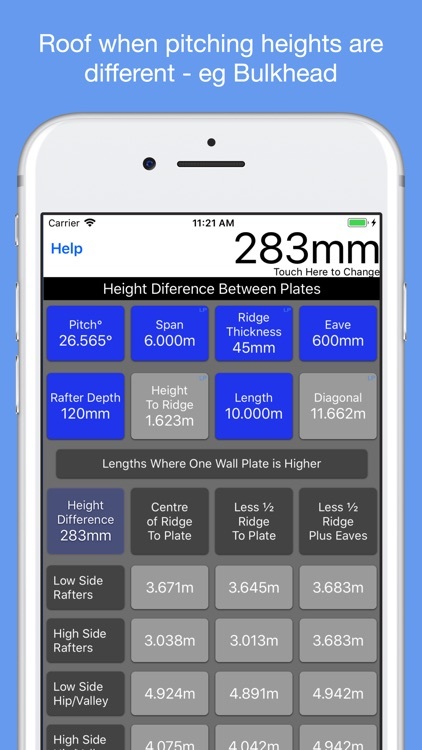 Optimised for all iPhones and iPads using IOS11+ in portrait mode. Infoguide is part of a small building firm based in Western Australia. 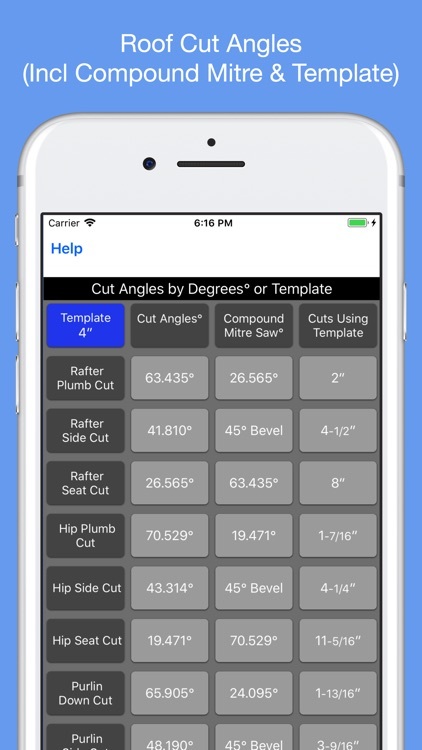 This app was created by a former Roof Framing Carpenter for our team of carpenters. We use it and believe it will be as helpful to other carpenters as it was for us.